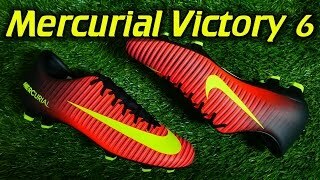 The Nike Mercurial Victory is the fourth tier boot in the Mercurial range. The following post has everything you need to know before buying a pair. Football in the 90’s was at its peak; every youngster you met aspired to be a pro player. During that time, the Brazilian National Team was perhaps one of the most celebrated football team of that decade. This inspired Nike to create a boot that matched the skills of such creative players. For Nike to create such a boot, they had to select the proper candidate for more inspiration. Ronaldo was one of the highest-rated football players worldwide and so it made perfect sense when Nike chose him as their muse. He then became the face of the Mercurial Vapor football boots. 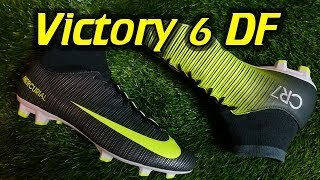 The Mercurial Victory is a cheaper option of this iconic boot. It was crafted with Ronaldo’s dominant attributes in mind, catering to his power, dribbling prowess, and speed. The secret was to create a boot that weighed less than most on the market. The designers opted for replacing kangaroo leather with a lighter synthetic material. The main aim was to come up with a boot that felt light on the feet and more comfortable. 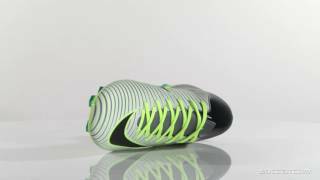 The Nike Mercurial Victory football boot comes with a stud configuration that enables better traction, acceleration, speed and stopping. A vast array of the latest technology has gone into this boot. For enhanced protection, the Nikeskin layer is made strong enough but still lightweight enough to ensure good control of the ball. The latest boot versions come with a dynamic fit collar that extends from the ankles to create more comfort for the wearer. One of the main boot aspects that most players look for it fit and comfort. The victory is a very comfortable boot for a lower range model. The boot is ideal for dribbling and quick bust of speed with sharp stopping. The upper part of the boot will hold the top of your feet when laced up, adding more comfort and fit. As the material is synthetic you will not get much stretch so may not be a good option for wider feet. If you are looking for a pair of boots to kick-start your football career, look no further. The boots are ideal for amateur players. It is amazing how the boots use the latest technologies to improve on-field game play.